Chair Cushions and Chair Pads. Indoor and Outdoor Cushions and Seat Pads. The chair is the most basic of all furniture. It predates the existence of written history. Archaeologists have found examples of chairs in Neolithic sites that are over 10,000 years old. Chair cushions have been around almost as long as chairs. Because chair cushions are usually made of less permanent materials, it is difficult to pin down the first use of seat cushions. Extant artifacts prove that chair cushions were known in some of the earliest civilizations in the ancient Near-East. Unattached seat pads were among the first cushions used in ancient times. These were either square or round in shape and fit the chair seat. 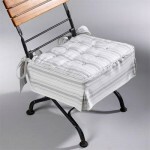 The Roman sella had many variations, but the chairs commonly used in the house used attached or unattached chair pads. Roman women have been portrayed sitting arm chairs with padding on both the seat and the back. During the Medieval period and the Renaissance, chair cushions evolved into comfortable upholstered padding, but this did not spell the end of the separate seat cushion. The 18th century English chair introduced intricate carving and lathe-work to the wooden chair, which left gaps that made it the perfect candidate for a seat cushion’s tie attachments. 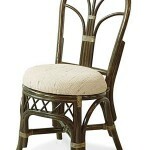 Non-padded chair designs have persisted through the ages and still can be found in homes today. 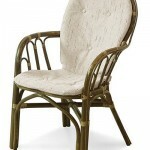 Very human sensibilities cannot help but add a chair pad or two to a bare wooden, metal or wicker chair. Chair cushions add comfort, but stylistically they add a lot more to room decor. They soften hard edges of bare furniture and give the opportunity to add extra color to a room. Cushions can be used for various furniture and living spaces. It can be chair cushions, deep seating cushions, papasan chair cushions, window seat cushions, bench cushions, rocking chair cushions, wicker cushions, swing seat cushions, chaise cushions, ottoman cushions. There are many types of shapes for seat cushions and seat pads: standard rectangle seat cushions, round back corners seat cushions, rounded corners cushions, rounded back seat cushions, trapezoid cushions, and round seat pads. Other pics of cushions look at the page Types of Cushions. Chair cushions typically come in one piece versions which cover both back and seat, two piece versions with separate chair pads for back and seat, and one piece versions which are essentially just seat pads. A chaise lounge requires a different style seat pad from a papasan chair, for example. 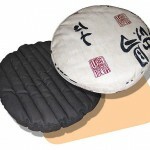 These chair pads are further subdivided into styles based on the way the seat cushions are stuffed. Box-type chair cushions are six sided, with a shorter side height and larger top and bottom width. These chair cushions are meant to hold a single piece of foam rubber for padding. Knife-edged chair cushions hold minced or fluffy stuffing which can range from plant fibers and feathers to polyester fiber fill. They are usually made of two pieces of fabric joined together, rather than the three needed for a box cushion. Indoor-Only Cushions or Patio Fabrics? Choice of chair cushions includes indoor or outdoor, furniture shape and parts of the furniture to be covered by the chair cushion. Style also plays a part in the kind of seat cushions needed for room decor. Cushion covers can complement room style. Before choosing chair cushions, determine how and where the cushion will be used. Outdoor cushions must have sturdy, weatherproof fabric. It should resist both water and fading. Foam rubber releases water more efficiently than most filling fibers, so many outdoor chair cushions are box cushions rather than knife edge cushions. Some combine foam rubber with the traditional knife edge seam-lines. These chair cushions often seem more loosely filled and tend to be used when the seat pad must make one or more bends to follow the contour of a chair or lounger. Indoor furniture has the option of using a variety of decorator fabrics. They can easily match or coordinate with other pieces in the room. While pretty outdoor chair cushions can easily be used indoors, indoor fabrics are rarely weatherproof and should not be used outside. Different styles of chair pads appeal to different decorating types. Knife edge seat pads give sitting and dining room furniture a more elegant look, while casual living room furniture or chunky modern decor looks better with thick box-style seat pads. 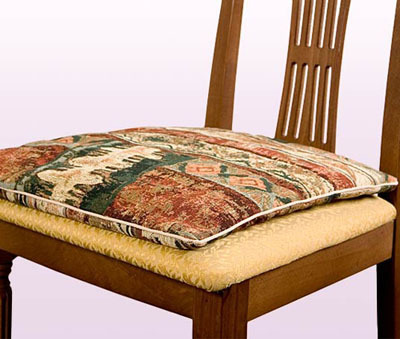 Welting on the edges of either box-style chair pads or knife edge chair cushions gives seat cushions a defining line. This works with both casual and more formal decorating styles. Some seat cushions forgo welting in favor of smooth edges. Other seat pads use quilting to create decorative puffs. Ruffles and other trims add visual appeal to cushions without affecting the thickness or comfort of the padding. 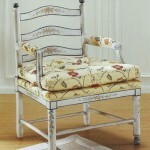 Basic principles of interior design can help with fabric selections for chair pads. A room that is filled with cool, solid color and clean, reflective surfaces lacks the warm and inviting feel that people crave. Patterns, texture and warm colors open up a room and give it a homey feel. Even polished metal furniture can benefit from a brightly patterned chair cushion. Remember to mix compatible patterns when possible to increase the warm appearance of the room. Furnishings themselves often dictate the shape of the seat pads needed. A chair might require a standard rectangular seat cushion, a seat cushion with rounded corners in front or on all sides, a trapezoidal seat cushion or, in the case of some stools, a seat round cushion. These shapes are fairly standard, whether the chair is metal, wood or wicker. The size of the cushion depends on the size of the seat and back, so these measurements are important to know before buying. 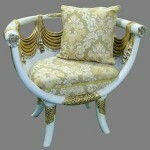 A chaise has a specific type of seat pad, which can come in one piece or two. In either case, the seat cushions of chase lounges tend to be sewn to match the bendable joints in the chair. Measurements for the joints of the chaise are important to have before purchasing a seat pad. It is a good idea to combine seat cushions with throw pillows and bolster pillows. Throw pillows are one of the easiest, least expensive ways to really change the feel of a room and require very little commitment. The All Things Cedar dining chair cushions, Carrara Olives Set of Four Chair Cushions, Gripper Jumbo Chair Cushions, Polar Tufted Chair Cushions and Solarium Chair Cushions are all highly recommended for indoor use. These brands all combine quality fabrics with timeless style to create the perfect dining room cushions. Zippers come standard on this models, to ease cleanup. Spills are never a worry. 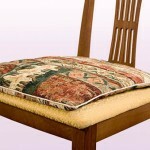 The Gripper Jumbo Chair Cushion is particularly thick and comfortable, as well as being slip-free. Sunbrella’s quality, 100% acrylic, outdoor fabric is remarkably stain and fade resistant. Their line of outdoor cushions can be beat when it comes to style choices and colors. They have a complete line of chair cushions, bench cushion and chaise cushions. Most have decorative welting on the edges and some feature quilting for a more textured surface treatment. Chaise and Adirondack cushions have built in fabric joints to better accommodate seat bends. Deep seating cushions have increased in popularity as people strive to use outdoor cushions and patio furniture to mimic indoor living spaces. These cushions mimic indoor living room furniture. Their chunky lines make a strong statement in the outdoor sitting area. Arden deep seating style outdoor cushions are made from quality, UV-resistant fabric which remains vibrant through any weather. Cleanup is easy. Only a few caps full of dish detergent in a gallon of water produces enough cleaning power to scrub several patio cushions. The weatherproof material should never be bleached. Deep seating cushions make excellent bench cushions, creating a piece of furniture similar to an outdoor couch. However, deep seating cushions come in all patio cushion styles. 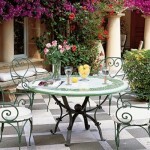 Arden’s complete line supports almost every type of outdoor furnishing. Greendale Home Fashions has a wonderful selection of swing and bench seating with the option of matching or contrasting chair pads and accent pillows. The chair and bench cushions are overstuffed for plush comfort. The fabric is durable and UV-resistant. These are cushions that will last many years. Cushions for indoor or outdoor furniture are a great way to add color and texture to room and outdoor decor. Many colors and designs are available, so choices are only limited by the shape of the furniture. Water and UV resistant fabrics and water-releasing foam cores are essential for outdoor cushions. Easy cleanup and removable covers are good features for all cushion types.